Featuring modes that are both prog and traditional jazz, this is a strong CD by a talented bunch of musicians. The melody seems to be a very important part of the music on this album. Although actually an older album, this one was never available in the US until now. Some of the tracks had been released on a best of album, but the full disc was strictly European. 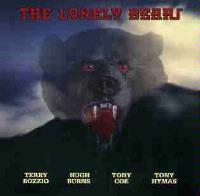 The Lonely Bears are Terry Bozzio (Missing Persons, Frank Zappa, Bozzio Levin Stevens, UK), Hugh Burns (Gerry Rafferty, Steelers Wheel), Tony Coe (Spencer Davis, Henry Mancini, Caravan) and Tony Hymas (Jeff Beck, Jack Bruce, Ian Anderson). Much of this song is solid jazz, a bit bluesish at times. It occasionally features guitar work a bit in the mode of David Torn. The piano solo segment is quite strong, and just a bit like Traffic's "Low Spark of High Heeled Boys". Towards the end of the cut, it takes on intensity like a snowball rolling down a hill. Jumping straight out of "Our Red Sea", very modern jazz oriented tones start this cut in a dramatic and slightly off-kilter manner. 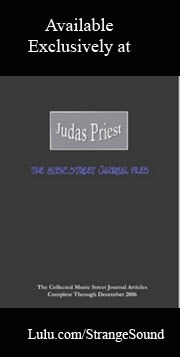 It features odd timing changes in an arrangement that seems to call to mind Frank Zappa. After this extended intro, the cut turns very progish in an experimental Crimson sort of tone. With frantic saxes that almost seem to emulate Nik Turner at times, this cut comes across, in this segment, a bit like Adrian Belew jamming with Turner in an odd electro-jazz Crimsonesque mode. With Hawkwindish sound effects and vocal loops overlaid to finish the mix, this song is very much weird prog with jazz overtones. It has some very rich musical modes at times. This one also includes some wonderful percussive moments and ends with great below-bottom-end bass tones. Starting slow and smooth, especially in comparison to the near chaos of the last track, this is a pretty and laid-back jazz number, at least early on. It takes on more dissonant and haunting tones after a time in its intriguingly potent arrangement. The composition features a particularly tasty saxophone solo. A sedate and quieting intro with strong percussion starts the tune. It seems to completely change gears going even more percussive and featuring a jazzy take on Native American sorts of sounds. The percussion is very high in the mix throughout this strong piece. The liner notes say that this one is "based on the traditional 'Iroquois Scalp Dance'". 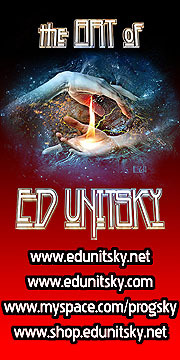 Somewhat electronic and light hearted, this cut feels a bit like prog jazz and is considerably strong work. It features lots of changes and a great melody. This one begins with a strong percussive presence and, at times, a rather Native American sounding woodwind line. A good progish jazz cut, this is actually a brief piece that serves as an intro to the next number. Starting with essentially the unfinished work of the last piece, as those modes fade, they give way to the new presence. The percussion drops out, at this point, and piano and sax dance around each other in total joint dominance of the piece. This is strong jazz in an older, more traditional vein. Essentially a jazz ballad, the piano work at many times borders on incredible. Jumping straight out of the previous composition, drums and keys begin their dominance of this one. It really takes on a fairly chaotic King Crimson sort of texture in powerful, non-linear prog modes. Getting rather frantic at times, this is extremely quirky progressive rock. Starting with a dramatic sort of keyboard sound near the background, it seems to constantly threaten to burst forth. Rather than the piece continuing in that direction, however, a pretty piano melody gradually takes command. Then, after a time, the ominous modes in the background start to build and dork tones begin to eclipse the lighter, pretty piano melody. The two elements seem to fight for control with the piano beginning to change modes into darker directions, as if corrupted by the other leanings. The piece then completely twists in direction toward less dark, but certainly mysterious tones. This is definitely a prog cut. Starting mellow and quiet, this is a sedate piece at the beginning. As drums enter, they are in a militaristic fashion. The sax seems to make playful circles around their regimental precision. The percussion then drops away, and the number becomes more free form and progish as keyboards enter. It then starts moving in more atmospheric modes, ethereal and textural. It takes on more melodic jazz tones in a great melody line. Extremely brief (44 seconds), this one is jazz oriented and playful. Still it is a strong piece that serves as an intro to the next track. Oddly off kilter percussion couples with dissonant melodic wanderings to form a free-form jazz jam that starts the piece. This is a rather odd number that almost defies description. Saxophone starts this cut and the melody begins to build. Piano takes over after a time, then a progish and jazzy moving melody ensues. More wandering tones take over for brief periods on this one but melody is King here. Pretty acoustic guitar shows up to end the piece. According to the liner notes, this one is "based on a traditional Andalusian lullaby".